Back by popular demand: Video Jumpstart webinar series, now in more languages! Back by popular demand! Our recent ‘Jumpstart 2011’ webinars had over 5,000 registrants, so we're offering the most requested webinars from the series AGAIN! Don't miss out this time! 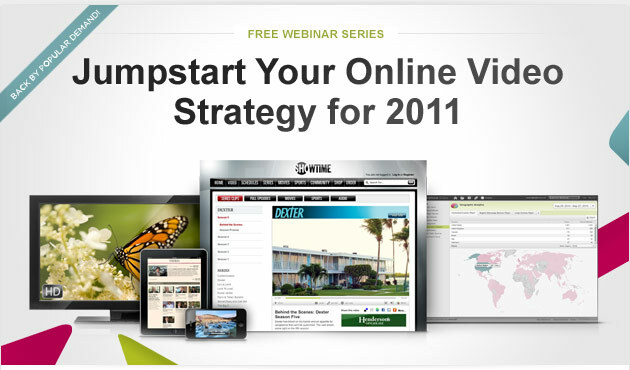 Join us for a series designed to help shape your online video strategy for 2011. These expert-led sessions are full of best practices to ensure the success of your organization's online video strategy. And special this time around, we're also offering sessions in local time zones and languages for our friends in Europe and around the globe! Register now, and be sure not to miss out on these awesome sessions!